The blogger behind The Crepes of Wrath is passionate about pie—especially in rectangular form. 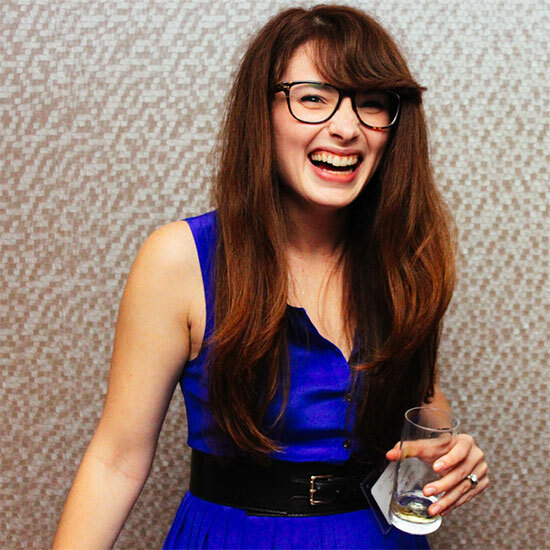 The blog: Brooklyn–based Sydney Kramer is the operations manager for Business Insider by day. She cooks, styles and shoots recipe for her blog, the Crepes of Wrath, by night. Sydney on why she loves slab pie (and why you should, too). “When I discovered slab pies, I was instantly sold. The only problem with pie is that you generally don’t make big, layered pies, like you would a cake, so I feel like there is never enough pie. Slab pie gives you lots and lots of pie with enough to share. Plus, if you have a sturdy enough crust, you can eat slab pie with just your hands, like square pizza. It’s amazing and perfect for parties and barbecues. What are some of the challenges of making slab pie, and how do you overcome them? The biggest issue in making a slab pie is that you have to make a lot of crust. My favorite slab pie recipe involves using more than seven cups of flour, plus all of the other additions like liquid, eggs, butter, etc. It can be overwhelming, so you have to make the dough in two batches unless you are willing to potentially fight with your food processor (which I am—I am smarter than a machine and I will continue to overfill the thing until it breaks). As long as all of your ingredients are the right temperature, though, and you have a little patience (or just want to do the whole thing by hand in a big bowl), it’s well worth the effort. What are some stellar slab pie fillings? 1. Triple Berry Slab Pie The farmers’ market near me has a stand that sells three-packs of raspberries, blueberries and blackberries for $10, so I’ll grab one or two of those and mix them all together for a juicy, summery pie. The black filling against the golden crust is irresistible to me. 2. S’mores Pop-Tart Slab Pie. This is heavenly. I made my own marshmallow fluff, then made a chocolate ganache, mixed everything together, baked it, and honestly, the final product tasted just like the real thing. I brought this bad boy to a barbecue and a bunch of my friends took home plates of the pie because they wanted to eat it later as a midnight snack. I considered this to be the ultimate compliment. 3. Lemon Meringue. Well, I’d like to try making a slab pie variation of lemon meringue at some point—maybe that will be my Thanksgiving project. Sarah, of the Sugar Hit, runs a colorful food blog that reminds me of a comic book, I love it! I’m also a big fan of Take a Megabite for similar reasons, plus I love seeing photos of Megan’s dog. Billy, from Wit & Vinegar, hosts the amazing Popsicle Week every year, plus he is hilarious. Top with Cinnamon, run by Izy, is endlessly impressive—the girl is 18! My friend Diana runs Appetite for China and she and I did a wonton video together last year—she is my Chinese food guru. I read Molly Yeh’s blog constantly and find her to be so inspirational—same with Matt Bites. For booze, I have to give it up to Patrick and Rachel over at There Will Be Bourbon. Oh! And whenever I want to feel completely inadequate but still drool over food, I browse through Daniel Krieger’s photography. I’m a glutton for punishment.